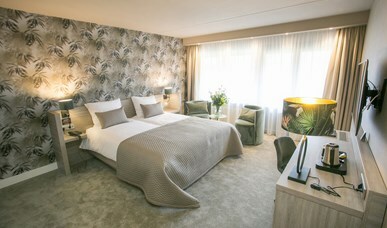 All spacious rooms and suites at Van der Valk Avifauna are equipped with comfortable beds, television, desk, free WiFi, telephone, hairdryer, safe and coffee and tea making facilities. The bathrooms have a bathtub and a separate shower. Some rooms have a furnished terrace or balcony, possibly with a beautiful view of the adjoining bird park. All of our spacious economy rooms come with comfortable beds for a good night's sleep. 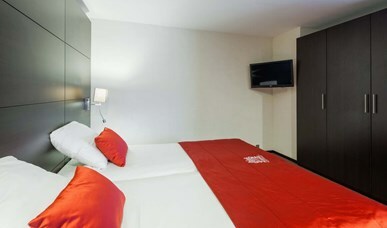 Our comfort rooms have a trendy desing and a comfortable double bed (1 bed, 2 matrasses). The spacious bathroom is fitted with a bath, a separate shower, washbasin and toilet. 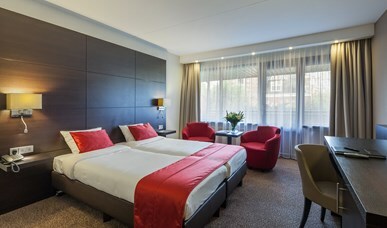 Our comfort rooms have a modern interior and extra comfortable beds. The spacious bathroom is fitted with a bath, a separate shower, washbasin and toilet. The spacious three-bed rooms have a spacious lay-out and offer television, telephone and free WiFi internet. The bathroom is equipped with a bath, separate shower, washbashin and toilet. 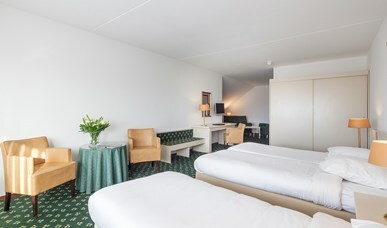 Our three-bed comfort rooms have a modern interior, mini refrigerator and extra comfortable beds. The generous bathroom comprises a bath, separate shower, washbasin and toilet. 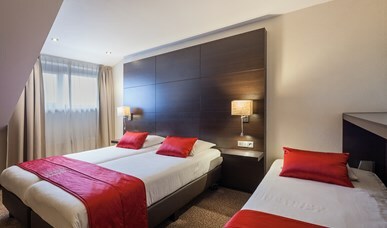 The family suite is suitable for a maximum of 5 persons and consists of two storeys. 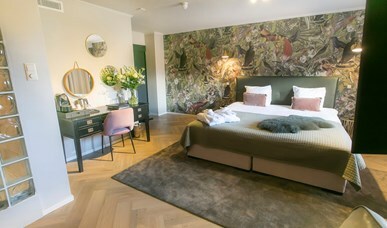 The ideal accommodation for a stay with children, relatives or friends. 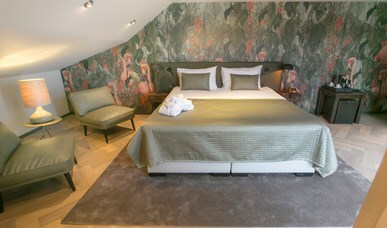 This romantic suite offers all conveniences with a jacuzzi, sauna, walk in shower and generously kingsizebed. Sparkling wine and chocolates are included. This suite offers all conveniences. A generously sized double bed, open bathroom with a double jacuzzi, shower and separate toilet. Sparkling wine and chocolates are included. 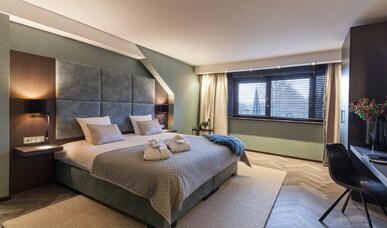 This beautiful, comfortably appointed suite has a king size bed and while having a glass of champagne you can enjoy a dip in the double jacuzzi.